"INAXTION IS GOOD AT SUPPLYING HIGH-QUALITY TEMPORARY TECHNICAL PERSONNEL"
Stork excels at what they call 'asset integrity': Stork helps its customers in heavy industry (Oil&Gas, Chemical and Power) to reduce risk, guarantee safety and improve performance, which comes down to providing service and maintenance activities to heavy installations such as turbines, refineries and chemical factories. They service large customers such as GasUnie, DSM and Shell. Large installations can be subject to many maintenance stoppages. The entire production comes to a halt in order to ensure that they don't just run efficiently, but safely as well. This is extremely important in view of the materials being processed, such as gas and oil. Stork wants to be flexible with its personnel. They recruit for certain key functions themselves, but they don't want technical personnel on their books until they need them, i.e. when a large project is in the offing. Then they want to be able to scale up quickly and every project requires specific types of staff, technicians who have particular skills. This means Stork needs to work with a partner who is able to supply the right kind of personnel at the right time. This is where InAxtion comes in. 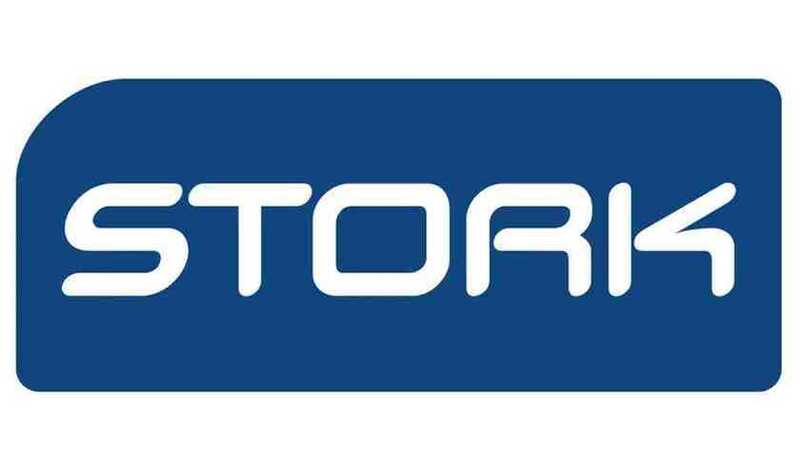 InAxtion supplies Stork with technical personnel for electrical work and installations. Stork tells InAxtion how many people they need, which skills and background. Generally, InAxtion has the right people ready and if necessary they will train them. But that is not all: InAxtion holds the same business principles as Stork: being a good employer, adhering to rules and regulations, focusing on safety and quality. The business cultures of the two companies are a good match. They supply high-quality workers and invest in training. Most companies have a reasonably stable number of employees: they need a certain number of man hours to ensure that all work gets done. In the case of Stork, however, the number of staff needed fluctuates strongly. When a large project needs to be started up (quickly), they may need a large number of extra personnel. And not just any personnel, but specialised technical personnel. How to solve this problem? The answer is: working with an established set of temporary and secondment agencies who are able to supply the right people quickly. "InAxtion takes on the role of employer and takes a meticulous approach"
Ernest Markus is Head of Personnel Planning at Cofely West Industrie. A challenging job at a company that has to deal with times of peak demand when large numbers of extra staff are needed. "And not just any staff, we need specific technical know-how and skills. If we send someone to a Shell factory for a big maintenance job, they have to be productive straight away." In order to make that happen, meticulous planning is required to get the right people onto the right job for a specific period. Marion Vianen, Flexible Labour Buyer at Stork, is in charge of placing contracts with the partners that Stork uses regularly to buy in extra labour, such as InAxtion: "Admittedly they are not the only agency who supply us with technical personnel, but we have been working with them for a long time." In the same way that Stork is specialised in heavy industry, InAxtion offers the right kind of specialisation for Stork: "Especially where operational technical staff are concerned, InAxtion excels: they offer highly-trained technicians for electrical work and work to installations." It's important that the workers have the right skills and the right papers to start work straight away. They also need the right expertise, experience and mind-set: "Our projects often start with short notice. Partners like InAxtion make sure that the people they send are equipped in every way to make the project a success." That's the advantage of specialised agencies such as InAxtion in comparison with regular temping agencies: they do more than 'shuffle CVs' - to put it slightly harshly. "InAxtion behaves more like an employer and take a meticulous approach. "INAXTION KNOWS EXACTLY WHAT WE ARE LOOKING FOR"
Being a good employer. This is an important principle in InAxtion's philosophy, which has contributed to the long-term relationship with Stork: Not only do they invest in training their people, they also ensure salaries are paid in accordance with the most up to date laws and regulations." For instance, InAxtion is fully aware of the requirement that temporary workers must be paid at the same rate as the permanent staff of the organisation they are sent out to." But InAxtion also understands completely what we are looking for: they know how important both safety and quality are for us. In that sense their business philosophy and culture matches ours. That makes for a good working relationship. "THANKS TO INAXTION WE CAN BE PRECISELY AS FLEXIBLE AS WE NEED TO BE"
Thanks to partners such as InAxtion, Stork has the flexibility they need: "It's essential to us that we can continue to offer tailored services to our customers. Every project demands a different number of people with a different profile and specific skills. Every project is different." "Thanks to partners like InAxtion we have a large, flexible pool of workers at our disposal, with a large capacity and diverse skills. InAxtion is particularly good at placing the right people on long-term projects."